The Southeastern Ceramics Club held a Christmas sale outside the War Memorial Student Union on Nov. 26-27 from 9 a.m. to 2 p.m. 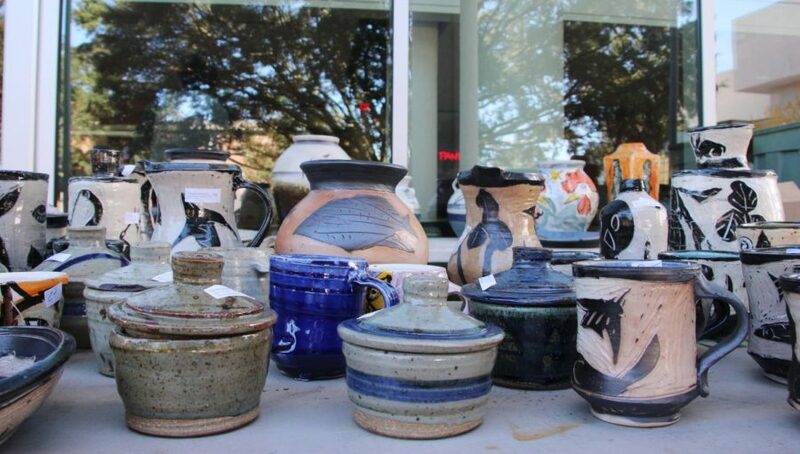 The Southeastern Ceramics Club displayed around 200 ceramics dishes at its Christmas sale. The club set up its sale outside the War Memorial Student Union on Nov. 26-27 from 9 a.m. to 2 p.m.
President of the Ceramics Club Olivia Goll, a senior art major, estimated that the sale raised around $300 to $400. Goll shared that the sale is used to gain back the money put in to making the works. Goll hopes to find community support in the club’s sales.